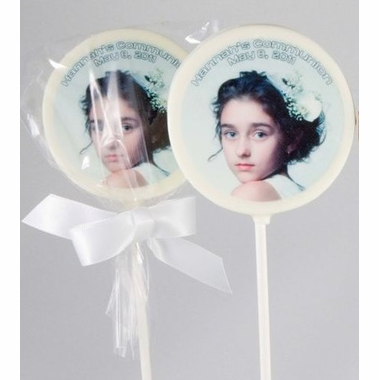 These unique Communion favors are sure to delight your guests. 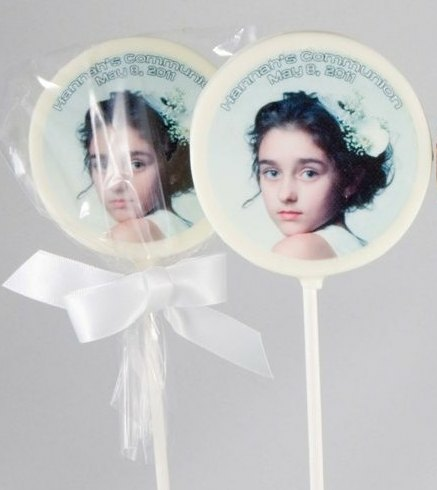 The entire chocolate piece, measuring 3" in diameter, is completely edible, as the image is made from FDA approved food coloring. 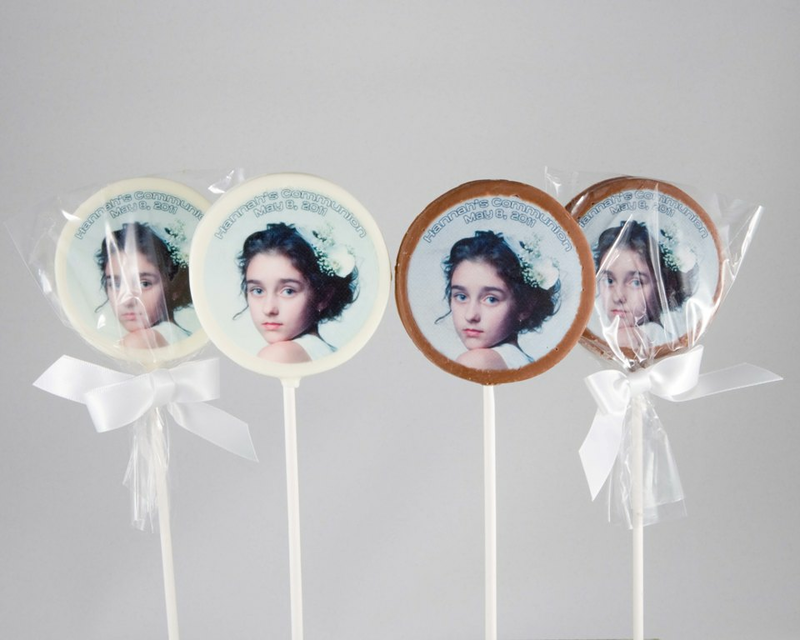 Each lollipop comes wrapped in a clear cello bag tied with white satin ribbon.